T here’s a proverbial saying in my place that says “you will just be wed once, so make it the most special and successful event in your life”. Right. For all cultures and ways of life, thorough Wedding Planning must be done for it is really one occasion that is worth the success. 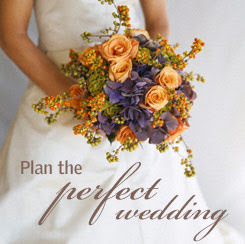 The web’s most comprehensive wedding-planning site, WeddingChannel.com has been helping brides and grooms get their weddings right since 1997, offering free, interactive planning tools, expert ideas and advice in all aspects that complete a wedding, inspiration photos of real weddings, a local vendor guide and also for wedding photographers, florists, bands and more, a patented online registry system, and more to make planning a classic, upscale wedding as easy and stress-free as possible. Planning the perfect wedding is just a few clicks away… just log onto WeddingChannel.com, and start your planning checklist, budget calculator, guest list manager, save the date stuffs, scrapbooks all in this wedding website.